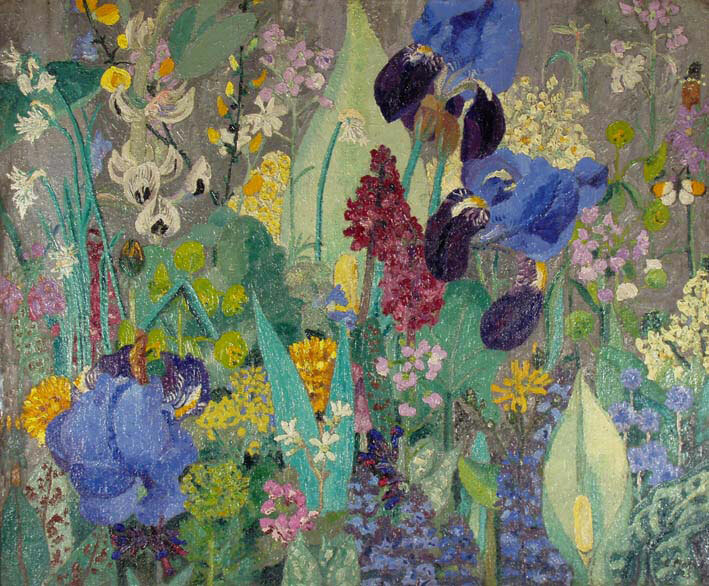 A self-taught painter and keen horticulturist, Sir Cedric Morris was born in Swansea and studied briefly in Paris. After playing a key role in the Welsh Contemporary Art Exhibition at the National Library in 1935, Morris co-founded the East Anglian School of Painting and Drawing. With a teaching method free from doctrine, this was an eccentric art school for professionals and non-professionals alike. 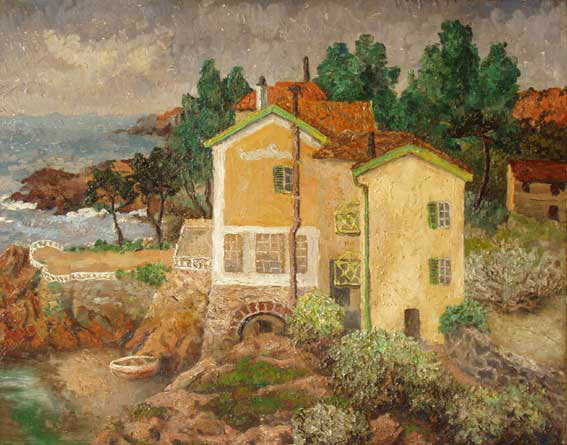 A member of the London Group, Morris went on to lecture at the Royal College of Art in the 1950s. 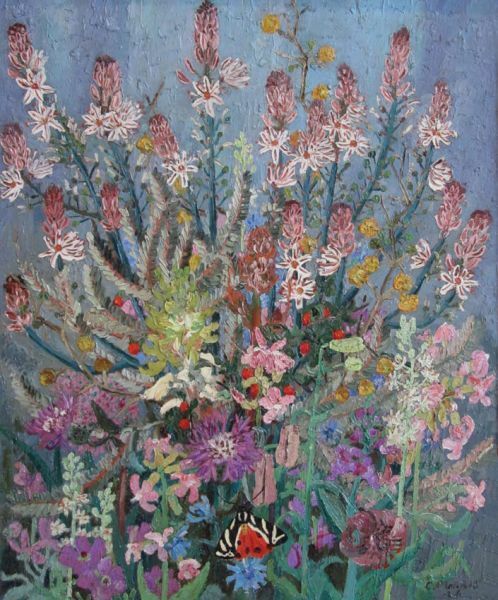 Morris is best known for his post-impressionist representation of flowers, still lifes, landscapes and portraits in strong bold colours.